for our best price on complete home inspections!! Don't keep us a secret!! Preheat oven to 350°F. Grease two bread pans and dust with cinnamon and sugar. Mix together eggs, vanilla, oil and sugar. Add salt, baking soda, baking powder, cinnamon and nutmeg to the egg mixture. Alternately add the flour and the grated zucchini to the egg mixture. Fold in the mini chocolate chips, if using. Fill each prepared bread pan no more than 3/4 full. Sprinkle cinnamon and sugar on top. Bake for one hour or until a toothpick comes out clean. 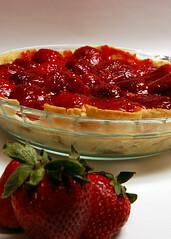 Cut strawberries into bite sized pieces and put in bottom of pie shell. Mix cornstarch, sugar, corn syrup, and water. Mixture will be cloudy. Cook on stove top on medium heat until thick and clear. Add the box of jello to the mixture and stir till dissolved. Pour over strawberries and let cool. Serve with whipped cream. Melt butter in 9x13 pan. Sprinkle brown sugar over melted butter. 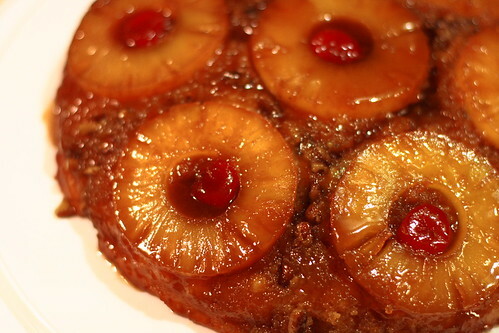 Place pineapple rings in single layer putting a maraschino cherry inside the hole of each the pineapple ring. Make the cake batter according to the box directions with the exception of using the pineapple juice in place of the water (use additional water if you don't have enough juice). Pour batter over pineapple. Bake according to the package directions. When cool, invert onto tray. Mix together till smooth and use as a dipping sauce for fruit. Tip: If you want a peach dipping sauce just swap out the yogurt for peach yogurt. You can pretty much use it for any fruit flavor or even leave the yogurt out completely. It's delicious. Lay asparagus in a single layer on a sheet pan and drizzle with olive oil. Sprinkle with salt and pepper. Roast for 15 to 20 minutes, until tender. Sprinkle with the shaved parmesan. Serve with lemon wedges. Grease a square pan or cookie sheet and spread nuts on pan. Melt butter and brown sugar together over medium heat stirring constantly for 7 minutes (I use a non stick skillet). Once toffee has reached 300 degrees on a candy thermometer, spread toffee over nuts. (If you don't have a candy thermometer, drop some toffee into ice water. If it hardens up and becomes brittle, it is ready. If it is still pliable, it needs to cook longer). Sprinkle the chocolate chips on top of the hot toffee and spread. Sprinkle on remaining nuts while chocolate is still warm. Once cool break into pieces and enjoy! Tip: Once its ready, it can go from ready to over-done in no time at all so remove from heat immediately. After you've made it a few times you will start to recognize the color you are looking for. Melt butter in 8x8 baking pan (I use a large cast iron skillet). Pour melted butter in to bowl and stir in sugar. Quickly add eggs and beat until well blended. Combine yogurt with baking soda (this is fun to do because it foams) and stir into egg mixture. Stir in cornmeal, flour, and salt until well blended and few lumps remain. Pour batter back into baking pan.